VITALITE has developed a solid foundation to build upon to scale across Zambia, Senegal and Malawi. Registered as aFor-Profit in Zambia. Lack of opportunity and access to basic products and services throughout underserved communities in Africa. There are many products, services and technologies that could improve the situation in underserved communities, but they are not reaching them and being improved upon due to a systematic lack of effective and efficient distribution and more importantly servicing that meets the needs of low income, urban and rural, communities across the developing world. Develop a next generation community distribution platform that makes high quality, in-demand products and services accessible and affordable, so that one's prospects are decided by their initiative and hard work. We aim to create a next generation community distribution and service company that provides opportunities in communities that are not there today. Low-Income, energy-poor communities, urban and rural, across Africa that have been historically underserved from accessing opportunities to improve their lives. VITALITE’s mission is to improve lives by making quality products, services and renewable energy accessible and affordable across Africa. VITALITE makes products and services that are in-demand and out of reach to low-income, energy-poor communities accessible and affordable. Our products, services and renewable energy offerings improve quality of life through better lighting, access to information, communication, entertainment, clean cooking and productivity. VITALITE is the pioneer of pay as you go solar in Zambia, with over 20,000 customers purchasing our solar home system offerings as of January 2019. 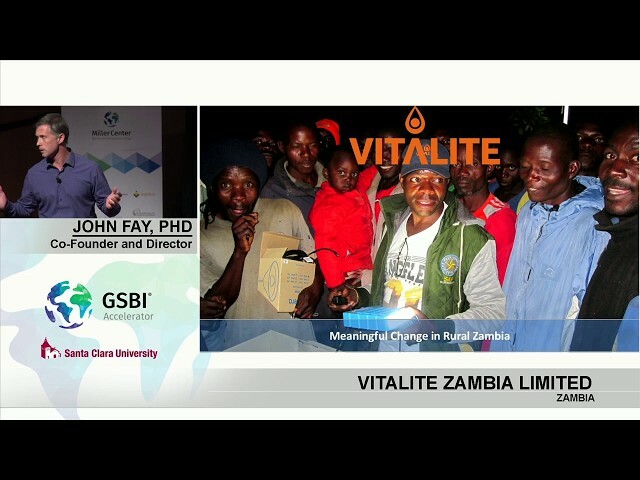 VITALITE is a community distribution and service company that operationalizes last mile distribution by leveraging mobile money payment platforms to offer consumer finance for customers to access plug and play solar home systems, home appliances and productive use products and services, particularly for smallholder farmers. As the pioneer of PAYGO in Zambia, our competitive advantage is a highly efficient and effective, distribution and service infrastructure and networks that is locally inclusive, and is informed by our deep understanding of our customers needs and interests. We support this with a professional, proactive and productive work culture that is focused on delivering high quality products with best in class service. Adding further high impact products and services to our anchor solar line, including improving communication and information flows by offering GSM enabled tablets, laptops and smartphones. This will greatly improve our ability to interact with and effectively service our clients in hard to reach areas of Africa. We are also developing a market access offering, whereby our rural smallholder customers will be able to sell their produce and grains via a blockchain like traceable platform. New Feature Agri-Solutions to improve farming yields and smallholder incomes.